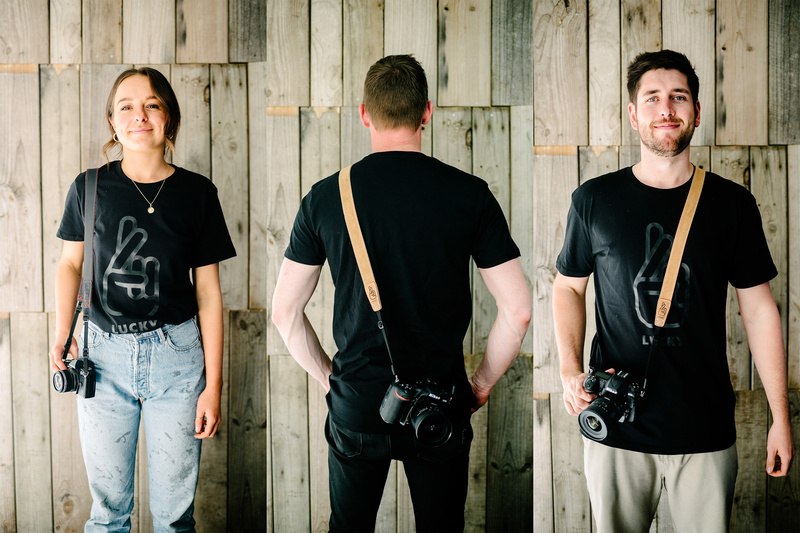 Our Slim 30 strap is designed for lighter cameras like Mirrorless systems, Rangefinders and older 35mm Film SLR's. At 30mm (1 3/16") wide they are the perfect size to carry these cameras comfortably all day without weighing you down or getting in your way. This strap is made with black upholstery leather on the main side and the ends, the underside and stitching are in a wine red. This strap is a great replacement for a stock strap of similar colours! What you are looking at is a body of two pieces of 100% leather which is stitched together for strength and comfort. We then add our embossed end pieces which and glued and cross stitched to connect the 10mm webbing to the main body. 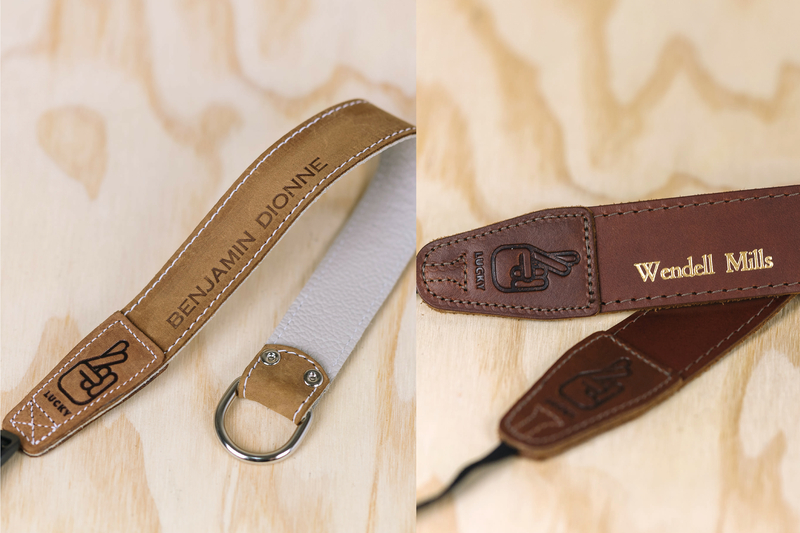 These are real leather straps that are made in our Australian factory! This is a great strap. It's comfortable and stylish, and suits my black Fujifilm X-T3 perfectly. I'd happily purchase another strap from Lucky in the future. I felt instantly at home with the Slim 30. It was easy to attach to my Fujifilm mirrorless camera, and seemed to mould itself to my shoulder. It is very comfortable to wrap round my hand. I prefer to wear a strap across the body, so the next one I order will be the longer model as the 30 is a bit snug worn this way. Honestly couldn't be more happier with the product, would rate 4.5 stars. Very well made however the black leather isn't quite as textured as the red. I would probably lean towards a block rather then two toned colour next time. But that's as to be expected with it being most likely two different kinds of real leather. But that's me strongly nitpicking the product itself. The reason for the 3 stars is really down to posting. There was an understandable wait with it traveling so far. But my item then got held up in customs for an addition 5 days past the expected delivery. That then added an additional charge of £27. This product is amazing. And honestly worth the money... But just watch out if you're buying it from across seas. What can be a quite pricy camera strap already can turn to a quite pricy camera strap. I would like to buy again in future but sadly will try my luck and find something to this quality but in the UK.